A young adult male Drape Fin Barb, Oreichthys crenuchoides, showing off his namesake dorsal fin. 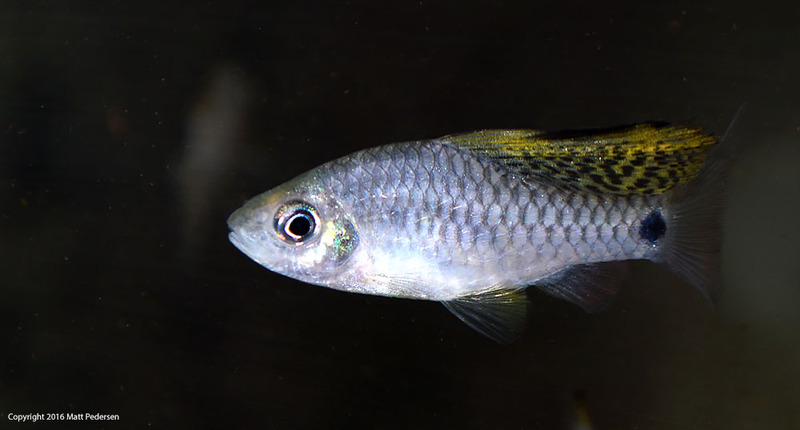 I recently came across the Drape Fin Barb, muttering, “Haven’t I seen you somewhere before?” Befuddled for a moment, I started pulling my oldest aquarium books off the shelf, flipping through the pages. But nothing jumped out at me, even though I remembered the picture…and the book. It was a black-and-white photo in my now-falling-apart copy of the Encyclopedia of Tropical Fishes by Axelrod and Voderwinkler, circa 1986. I stumbled upon a photo depicting a pair of Dragonfins or Dragonfin Tetras, Pseudocorynopoma doriae. But that wasn’t the photo I remembered. Dozens of pages earlier, I found the grainy image that’s been stuck in my head for some twenty years, waiting for the time it would be needed. There, on page 183, was a photo of a female and male fish that looked remarkably similar to the Drape Fin Barb I had just seen, but these were Crenuchus spilurus! 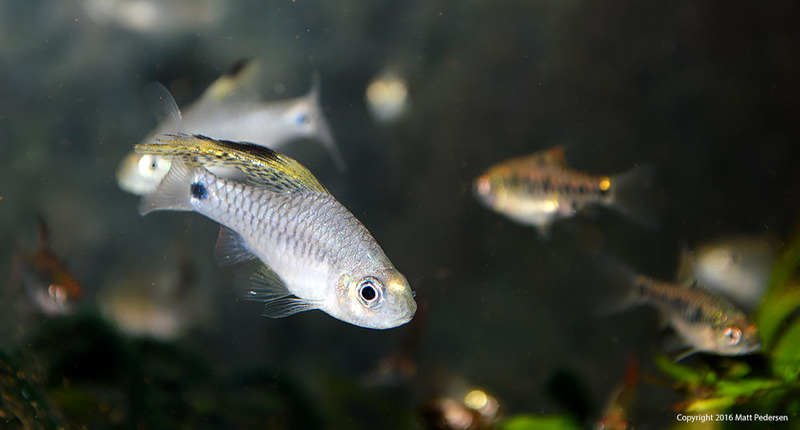 This species goes by multiple names, including Sailfin Characin or Sailfin Tetra, but is certainly not a barb—not even from the same continent (Sailfin Tetras hail from the Orinoco and Amazon basins in South America, while the Drape Fin is found in Western India)! 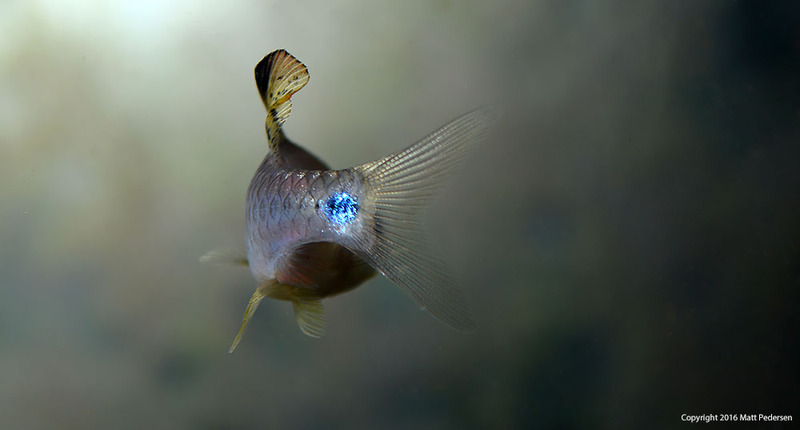 It turns out I’m not the only person who’s made this mental connection: Nicholas P. Kalodimos, in his article The Unusual Drape Fin Barb (TFH, March 2013), draws parallels between the Drape Fin Barb and the Sailfin Tetra, beyond simply their similar appearances, but also with regard to their behavior. The large dorsal fin in the male droops or drapes when not being displayed. But I’m getting ahead of myself. Clearly the Drape Fin Barb was simply a bit of déjà vu from my childhood, a case of mistaken identity causing a false sense of familiarity. 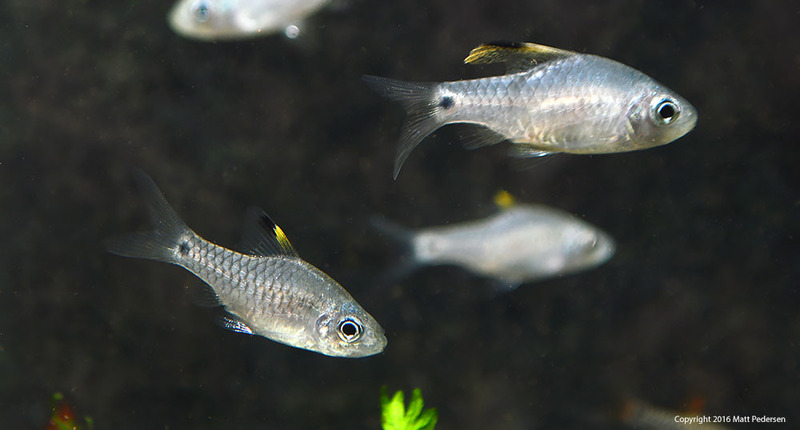 In fact, the species was only officially described in 2009 as Oreichthys crenuchoides; the earliest I can place it in the aquarium trade is 2001 (again, according to Kalodimos). 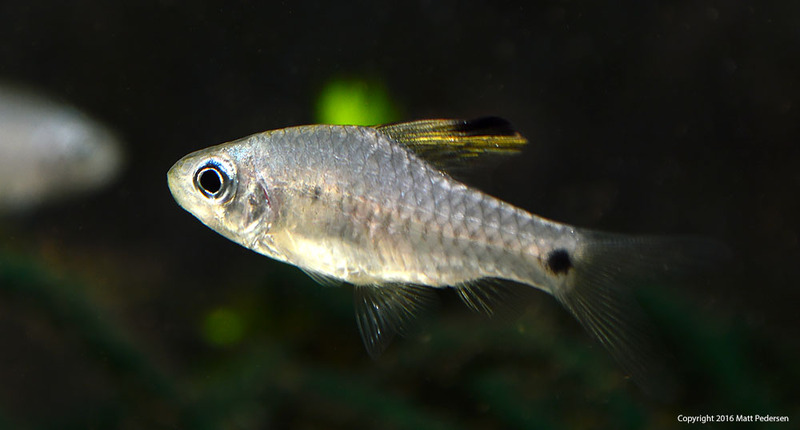 However, the earliest online reference to the common name Drape Fin Barb only occurs in 2005, in the FAAS award-winning breeding report Breeding The Drapefin Barb, by Chase Klinesteker from the Southwestern Michigan Aquarium Society. Yes, in the grand scheme of things, this species is relatively new, and while it’s becoming more available, it’s not a staple offering just yet! 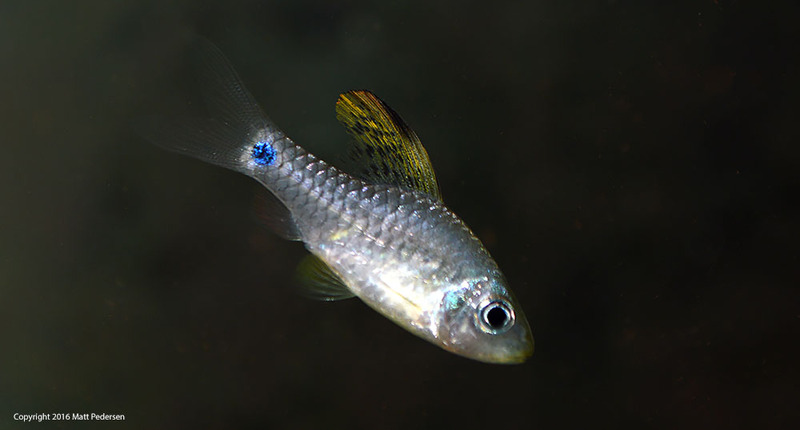 This beautiful blue tail spot on a Drape Fin Barb is unfortunately just an artifact of the camera flash; as you can see in the other photos, the spot is black to the naked eye. 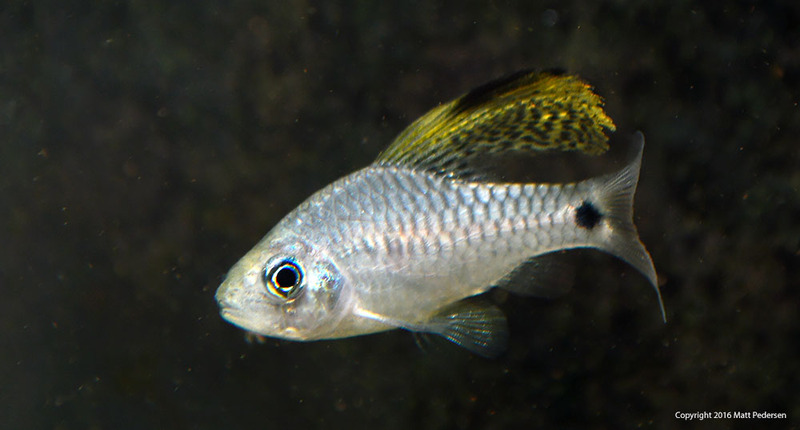 This larger male Drape Fin Barb seems to lack the bright yellow coloration of others in his group. My impression is that the Drape Fin Barbs are not nippy (as the “Barb” name often implies), and are fairly easygoing, despite some suggestions that this is a “sensitive” and “shy” species. The eat anything throw in the tank without complaint, and since I stay up on my water changes, fish tend to do well here. Skimming the various references to build an impression of consensus, I’d be inclined to say that the general recommendations are for keeping this species in groups, ideally in planted aquaria, with temps in the mid-70s F, around slightly-acidic to neutral pH, in soft to moderate hardness water. Since this is a photo-spread, I’m not going to delve into tons of care specifics or background information; that’s readily available in the references linked here. I’d like to simply close by saying that this species has been a joy in my care so far. The specimens I have are still young and developing. 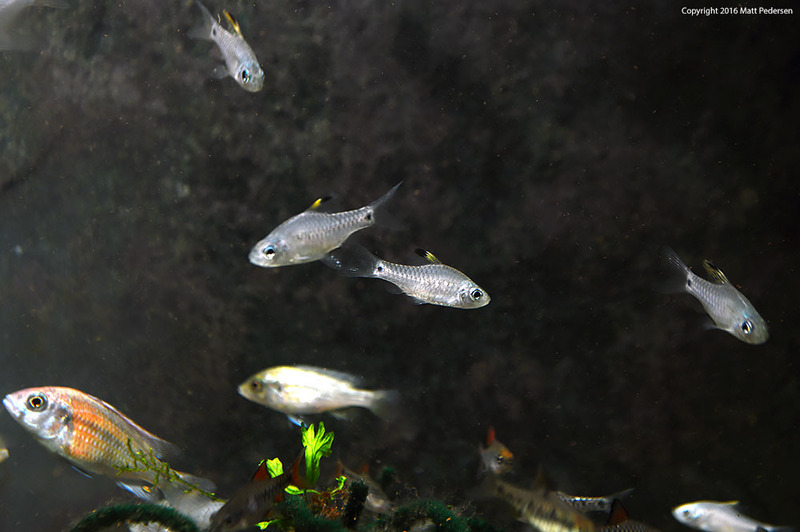 They’re housed in a holding aquarium that also currently contains Yo-Yo Loaches (Botia lohachata), Checkerboard Barbs (Oliotius oligolepis), Glowlight Danios (Danio choprae), and—yes, completely out of place—a small group of young Victorian Cichlids, Ptyochromis sp. “Hippo Point Salmon.” No problems here; all the species are kept in large groups and really only pay attention to conspecifs. Of course, Drape Fins are known for their aggressive displays by males, and are definitely a fish to keep in larger groups for the best display. This wider shot shows two female Drape Fin Barbs in the center, with young males at top and right, and a male (bottom left) and female Ptyochromis sp. “Hippo Point Salmon,” a Victorian Haplochromine Cichlid species, along with some Checkerboard Barb tankmates along the bottom of the shot. 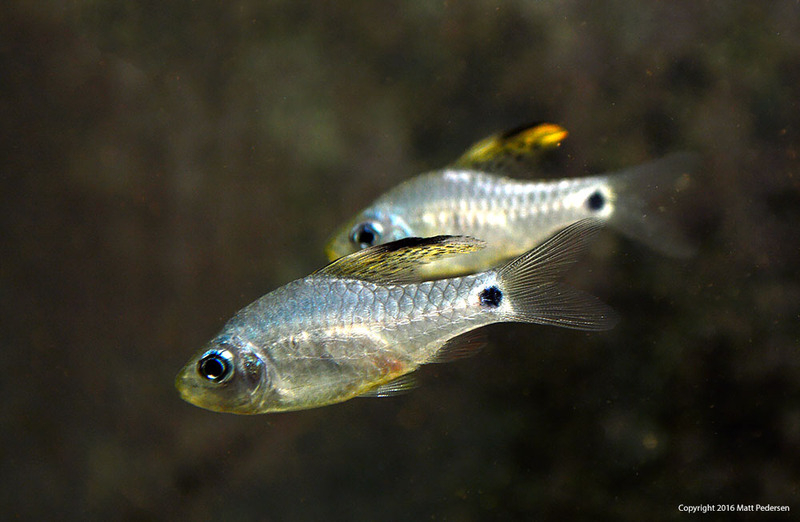 A female Drape Fin Barb at lower left shows virtually no spotting on the clear portion of the dorsal fin; the young male (above, right) is already easily distinguished. 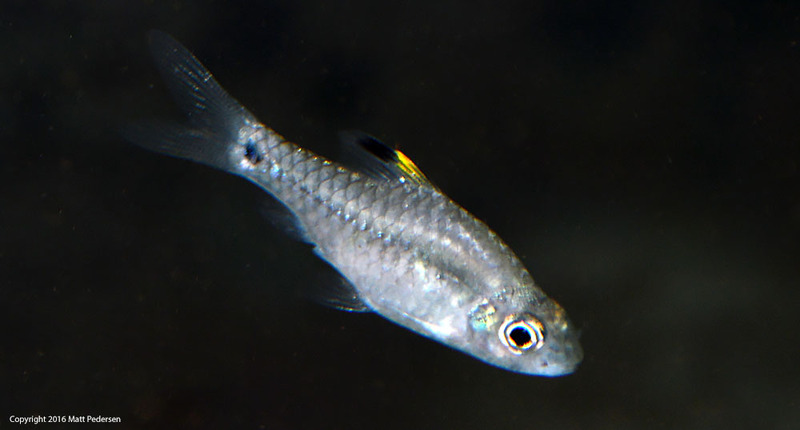 Another look at a female Drape Fin Barb; the group here looks to be heavy male. 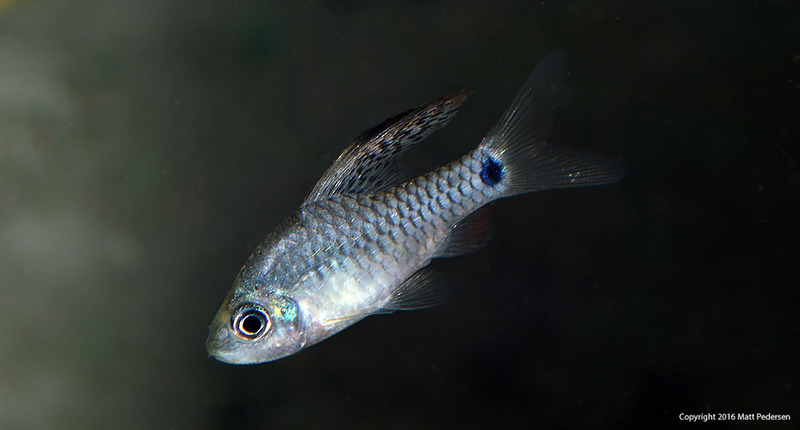 At first glance, this specimen looks like a female, but the spotting on the rear end of the dorsal fin belies the fact that this fish is simply a young male; the dorsal fin will grow substantially. Two young male Drape Fin Barbs, Oreichthys crenuchoides, their dorsal fins just starting to develop and enlarge. These barbs really have a lot going for them in the looks department, and this one is not even mature yet! A larger male Drape Fin Barb, Oreichthys crenuchoides, with a female and several Checkerboard Barbs, Oliotius oligolepis, in the background.